Rob has been a full time musician since 2000 and his work as a guitarist has taken home all over the UK, US, Canada, Central America and Europe. As a live session guitarist Rob has performed with Odyssey, Faze Action, Fiona Pears, Julie Stirman, and many more. Rob’s work in musical theatre has also seen him perform as a pit orchestra musician and MD for Carnival Cruise Lines for 8 years, as well as performances at the Pleasance Theatre, London. As a studio guitarist Rob’s credits include: Incognito, Odyssey, Yam Who, Midnight Riot Records, Aled Jones, Metropolis Studios & Amp Fiddler. Now based in South East London, Rob continues to perform and write for TV, film and advertising. His composing credits include: Universal Production Music, BBC, Sky, Channel 4, Apple, Sample Magic, Dynamic Music, BMG, Noiiz, EMI, Cineworld & Fox Sports. 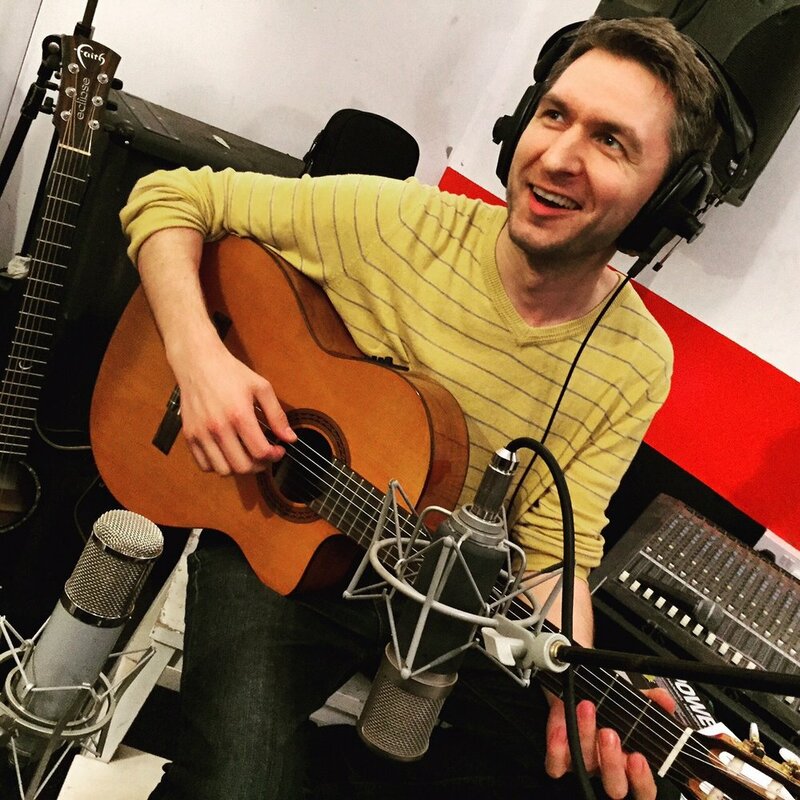 Rob is a certified member of the Registry of Guitar Tutors, and a visiting songwriter tutor at ArtsEd in West London. He is also a part of the London Songwriters Collective, who organise live music events, industry talks and courses for musicians.